Part of a suite of regionally-focused sites, including Mid-Atlantic, Rocky Mountain, and Southern directories, the NW Wedding Directory is a complete local resource to help brides and their families find everything needed for planning a wedding. From reception venues to photographers, caterers, and florists the Directories have all of the listings in your local area to simplify planning a dream wedding day. The NW Wedding directory serves brides planning weddings in Seattle, Everett, Bellevue, Tacoma, Olympia, Bellingham, Portland, Eugene, Bend, Medford, Spokane, Coeur d’Alene, Boise, Kalispell, Missoula, Anchorage, Fairbanks, and all points in between. Coastal resources are being added now. 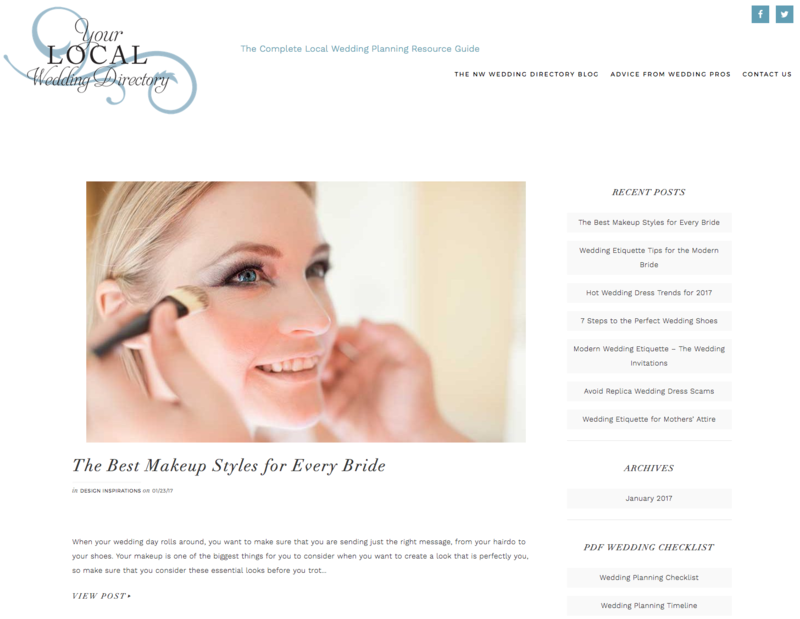 We recently launched a blog addition to the NW Wedding Directory, the-wedding-directory.com. It has truly useful tips for the bride and other members of the bridal party, as well as pdf checklists every event planner will find useful. Take a click! Next Ready For a Skate Park, Long Beach?